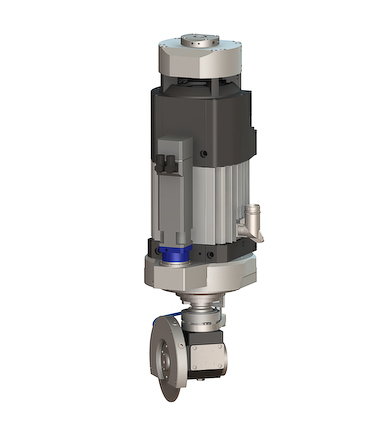 Machine spindles - descriptions, photos and technical specifications, global manufacturers. Send inquiries to the manufacturers and contact them directly. The MECTS (blower-cooled, manual tool change) and MECRS (blower-cooled, automatic tool change) spindle series are designed and built to give maximum performance in a compact design whenever accuracy and speed are called for, making them ideal for working marble, stone and granite. 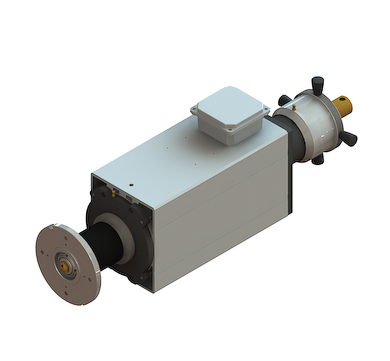 The patented blower cooling system allows heat dispersion even at low operating speeds thus enabling to obtain higher power and improve noise reduction. These models are provided with flanges, tool cone ISO40, 50 or MAS BT40. They are available with the traditional B3 foot-mounting system or with plates on both the motor sides. 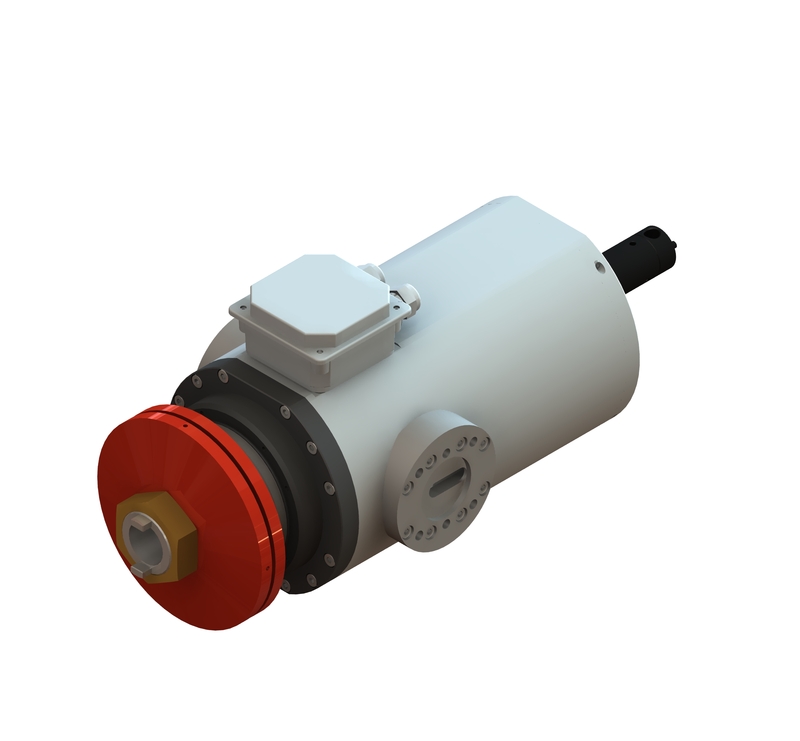 Powers from 10 kW/13 Hp to 30 kW/41 Hp are available. The EB (feed through cylinders) and EB V1 (feed through a hand-wheel) machine spindle series with integral bored shaft up to 100 mm and special water conveyor are ideal for sanding, calibrating, polishing applications in the granite, marble, ceramic industry. 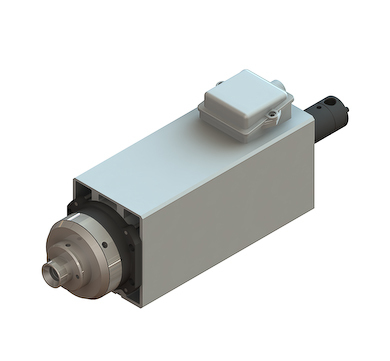 For this machine spindle powers from 2,3 kW/3,2 Hp to 4,8 kW/6,5 Hp are available. The cutting units EA15 are complete with angle head with flanges making them ideal for cutting operations on ceramic, marble and granite. Discs with maximum diameter - 350 mm can be installed and minimum cutting distance allowed is 150 mm. They are supplied with disc protection cover and both the execution with disc on the right and on the left side are available. The angle head can have gear ratio 1:2 or 1:1,5. 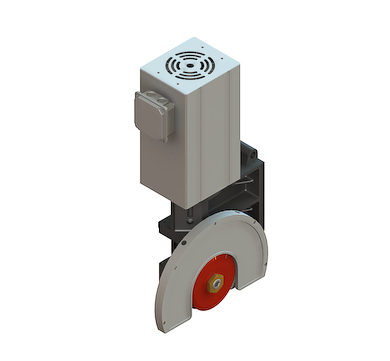 Powers from 3,5 kW/4,8 Hp to 6,9 kW/9,4 Hp are available. The MACT spindle series are designed and built for granite, marble and stone processing machines. They main features of these spindles is the liquid cooling, obtained by using the same water passing through the turning joint and going out on the tool. These models are supplied with flanges, tool cone MAS BT 40, ISO 40. They are realized with 2 lateral fixing plates on the housing to make the machine structure less heavy. 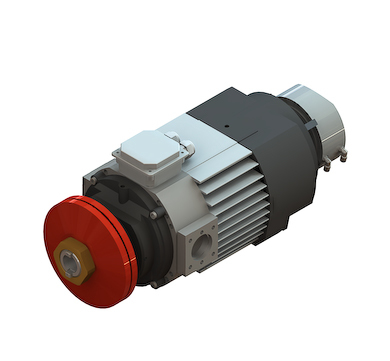 Powers from 11 kW/15 Hp to 25 kW/34 Hp are available. Speed from 900 to 8.000 rpm.